Chad continues his retrospective look into the historic GL/GA series of the 1970’s by tackling issue #80! This time around the social commentary is environmental in nature (ha, PUNS!) so hold onto your butts, we’re going full tree hugger! Also, Chad takes some time to highlight the VERY FIRST letters column featuring a glimpse into “real time” fan perspective of this amazing title! Please leave a voicemail at 708-LANTERN! 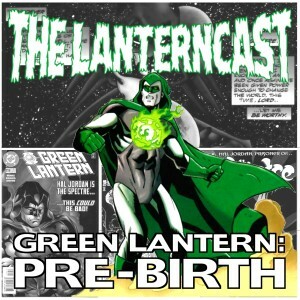 LanternCast Presents: Green Lantern: Pre-Birth #4 – The Spectre#1! Is Hell really what we make it? Is it simply a state of mind? Is the Devil simply doing God’s dirty work? And what do these questions (and Leo Tolstoy) have to do with a comic book?? Journey into the world of the Spectre #1 with Mark and Jim and all will (hopefully) be made clear! And could a trip to Hell be complete without a discussion of Fantastic Four, a film flop of biblical proportions? The Darkstars: Issue #1 Review by Jim Remolde! 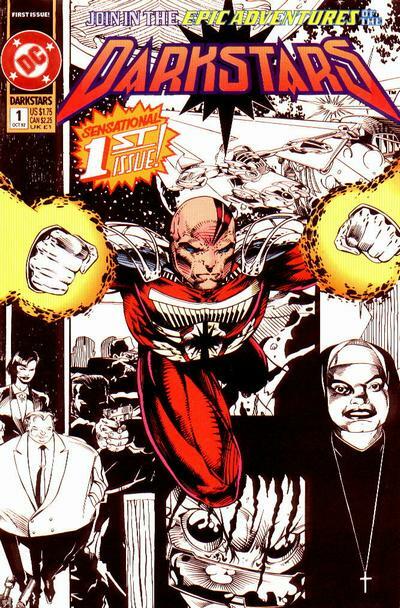 Issue One of Darkstars was released on September 1, 1992 with a cover date of October 1992 (Thanks to Mike’s Amazing World of DC Comics for this information). This issue was written by co-creator Jan Friedman with pencils by the second co-creator Larry Stroman. The inker was Scott Hanna. The Letterer was Bob Pinaha; Julianna Ferreter was the colorist with the editor being Brian Augustin. Robert Greenberger was credited as the consultant. “Mean Streets” opens on another day and another dung heap. We meet Darkstar Colos as he is boarding a star ship. From the internal monolog we learn that this is an outlaw ship. We see that Colos has some self doubt about his effectiveness. Is he really accomplishing anything by being a Darkstar? He mentions a botched job on Jenuwyne. We do not know what happened. He even muses as he battles the ship’s crew that he might be suicidal. That is ridiculous. He has much to live for. After the battles and he takes this ship, Colos contacts the Darkstar Regional Administrator Prigatz. This ship is carrying as Colos puts it, medicines. In reality this is a drug smuggling ship. Prigatz has a new mission for Colos. He is to report to Sector 109, planet 43. This planet is Earth. .
We cut to Earth, Dallas to be exact. We meet Sister Esperanza and Lieutenant Flint of the Dallas Police Department. Flint is looking for information and the Sister points him to Maurice (Mo) Douglas. Flint is looking for information on a new drug in town called Loco. The user starts out feeling good but after a while, the user turns very violent and as Flint puts it, the user “wants to go out and pick a fight with everyone in sight”. Mo has heard about this drug and he might know where the warehouse is that is being used to distribute the drug. It is located on Canton. Flint leaves Mo his card. Mo appears to be as depressed as Colos; he is not sure that Flint’s raiding of this warehouse will help with the situation, another distribution location will just pop up elsewhere. Back in space, Colos is briefed about Earth. We learn that Earth was not known about until a confederacy led by the Daxamites invaded. This is chronicled in the story line “Invasion” published by DC Comics in 1988. Now three ships have vanished into Sector 109. Together these ships contain the cargo to provide the components of the Serian drug Loku. It is believed that the ships were headed for Earth. The Darkstars currently do not include Earth in its patrols even though another organization has maintained a presence. My guess is that this other organization is the Green Lantern Corp. Colos is to head to Earth and stop this drug from being distributed. We now meet defense attorney Carla White and her client, Frank Pappas. Carla has successfully defended Pappas from charges that he is a member of organized crime. They have just left the court and are being mobbed by reporters asking for comments from both characters. Carla pushes Pappas into a limo which leaves Carla behind. Good thing. We meet an alien named Danik who is also in the limo. This alien is working with Pappas to distribute the Loco drug. Here we get the connection that the Loco and Loku drugs are the same thing. They are now ready to enter Phase two of distribution. We do not know what the purpose of this drug is at the moment but we learn that the violent side effects are unexpected but not unwelcome as violent addicts are a bigger headache for authorities than peaceful ones. Carla is picked up by her father and she leaves the scene as well. On the streets we meet up with Mo. He is wandering and thinking about Sister Esperanza. He comes across a Loco drug deal. He knows that the fights will break out soon and tries to clear all the homeless people in the area. He finds he is too late and the fights break out as he fears but he still believes he can save one more woman. He grabs her and tries to run away with her but is soon attacked by the addicts. Just as Mo is about to get overtaken by the addicts Colos arrives and fights off the addicts. Mo wonders if this is another superhero as Colos fights the addicts. Unfortunately the woman Mo grabbed was already dead. Colos tells Mo that she died of a drug overdose but not Loku, something home grown. Colos makes Mo his guide. We cut back to space where the Director of the Darkstars who is seen only in shadow is talking to Prigatz. He is not happy that Colos was chosen for this assignment. Unfortunately he cannot be replaced unless he is dead so it seems like it is Colos or nothing. We close with Flint’s raid on the warehouse. Everything does not go as expected as we find Flint face to face with an alien who is ready to kill him. There are a lot of characters to meet here. I had to write down all the characters names we meet in this issue. One interesting not is that none of these characters are familiar to me at all. It appears that everyone here is new and I like that. It gives the writer and artist a chance to create a whole new world here without being constrained to preexisting concepts or characters. The only reference to current concepts was the unnamed reference to the Green Lantern Corp. I want to focus on Colos. This issue gives us a hero that we know nothing about. Even the references that are dropped either in monolog or conversation leaves a lot of holes that the reader is eager to fill. Colos is apparently a well decorated and at least at one time a much respected member of the Darkstars, but something happened to change that. Colos, himself was very confident in his job as a Darkstar but now he has lost his confidence. The only parallel I can think of is Abin Sur just prior to his death. I have not read too far into this run and I am experiencing this series as I read it so I do not know what Colos’s fate is. I would hope that this is not just another Abin Sur who will die and pass on his power to a human but only time will tell. I also do not know what a Darkstar’s power is. It looks like he can fire energy blasts and there is some strength enhancement but we do not know if this is natural for Colos or is some special Darkstar power. 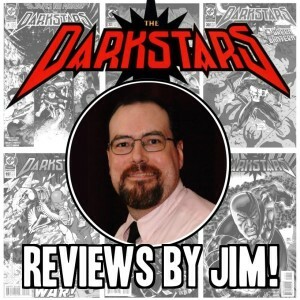 I am definitely looking forward to learn more about the Darkstars power set and how they differ from that of the Green Lanterns. I found it refreshing that we are not dealing with a super villain just yet. What we are dealing with is an intergalactic drug ring and I am interested in seeing where this story will go. 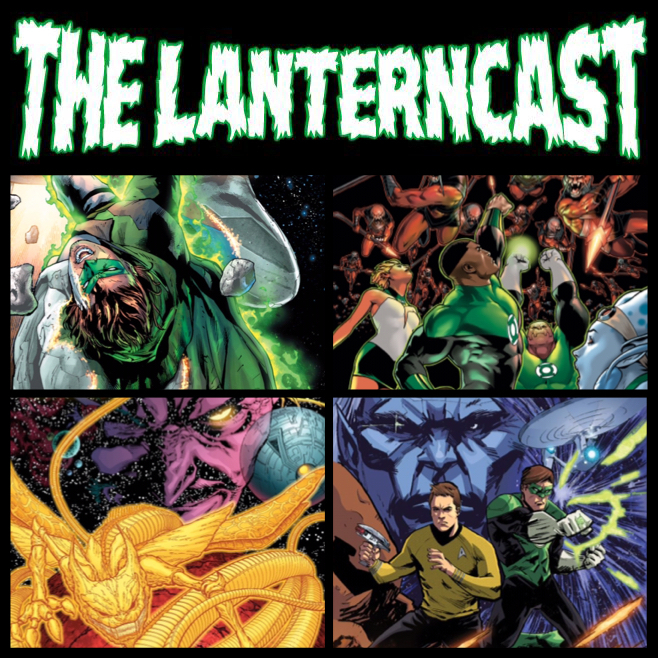 LanternCast Episode #227 – July Books! Holy crapola! 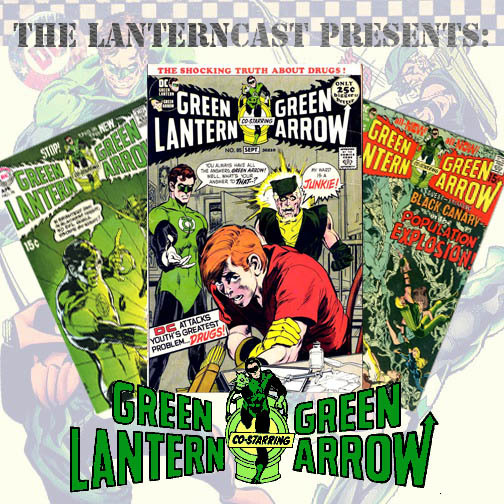 The first episode of August is a current issue review conversation featuring the GL books out in the month of July! HOW PUNCTUAL IS THAT?! 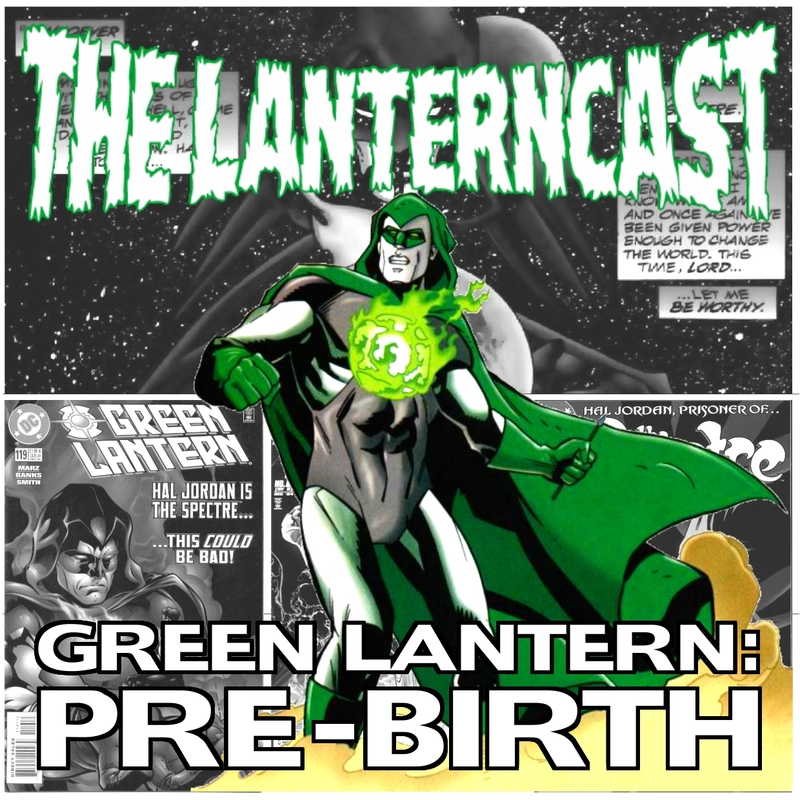 But for realsies, listen in as we continue following along with Hal’s tortured renegade status, John and CO babysitting Krona, Sinestro being and -cough- well…you know, and Green Lantern in the Star Trek Universe! WOOHOO! Be sure to chime in on our voice-mail at 708-LANTERN!